Scouting For Girls have announced they are playing The Royal Theatre Castlebar this April Saturday 24th to celebrate the release of their new album Everybody Wants To Be On TV. 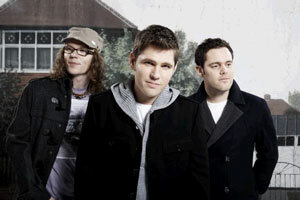 Tickets for Scouting For Girls At The Royal Theatre are priced €28 inclusive of booking fee. All tickets go on sale this Friday 5th February at 9am. 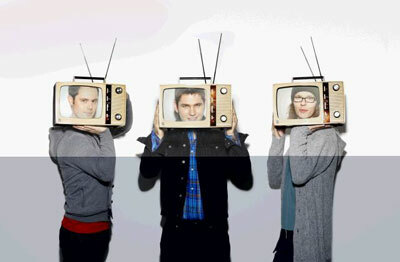 In 2008, Scouting For Girls became the biggest selling new band of the year in the UK. Having toiled for ten years unsigned, the three boys next door sold over 900,000 records of their eponymous number 1 debut album, and were nominated for three Brit Awards (British Breakthrough Act, British Single (Heartbeat), and British Live Act, to become the UK's most successful new pop band. Fronted by the exuberant showman, Roy Stride, Scouting For Girls quickly became renowned for their contagious piano-led pop songs (She's So Lovely, Heartbeat, It's Not About You, Elvis Ain't Dead), that connected with a huge audience and reaped multiple sold-out tours. Those live shows grew as Scouting For Girls mania gripped, buoyed on by the huge radio support, the venues were upsized across the country and sold-out just as quickly. By the end of 2008, they had performed to hundreds of thousands of fans, and outsold bands twice their size in the live arena. The initial recordings of their forthcoming second album, ‘Everybody Wants To Be On TV', were ruthlessly scrapped by the band after the Brit Awards 2008, when they had decided it needed re-writing and re-shaping. Whole songs were dropped in Roy Stride's mission for a collection of perfect pop songs. The resulting album, produced by Andy Green at Heliocentric Studios in East Sussex, is unshakably bold, confident, and a genuine step up in sound that loses none of the band's early charm, but builds and expands upon it as infectiously as only they know how to be. Scouting for Girls release their new single This Aint A Love Song on 26th March with their album, Everybody Wants to Be On TV following on April 9th. Tickets for their Irish tour are on sale this Friday, 5th February at 9am. Tickets are on sale Friday 5th February from €28.00 on www.ticketmaster.ie as well as from The Royal Box Office on 0818 300 000. For further information please check The Royal Theatre & Event Centre website on: www.theroyal.ie or www.ticketmaster.ie.